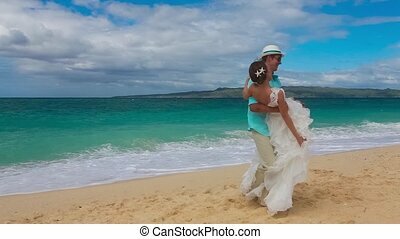 Happy bride and groom. The bride hold the rose bouquet in her hand. Happy bride and groom stand near the window. 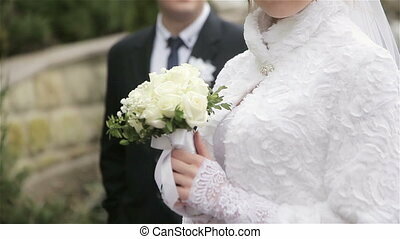 Young caucasian woman hold nice wedding bouquet in her hands. Happy bride and groom stand near the window. 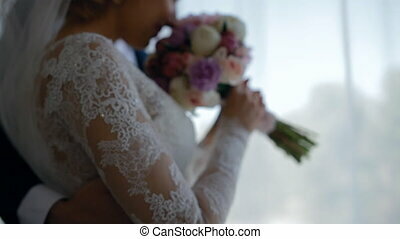 Young caucasian woman hold nice wedding bouquet in her hands and feel the smell. Happy bride and groom stand near the window. 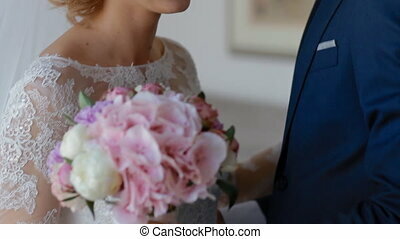 Young caucasian woman hold nice wedding bouquet in her hands. People embrace each other and kiss. Happy bride and groom stand near the window. 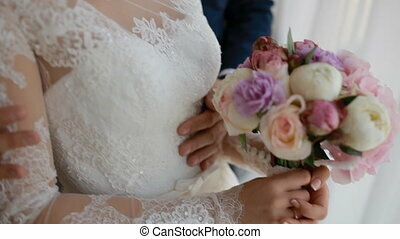 Young caucasian woman hold nice wedding bouquet in her hands. 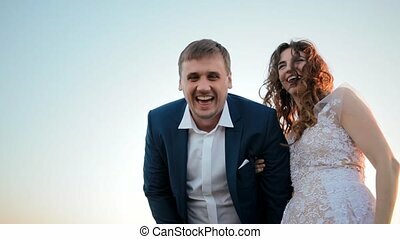 Couple look to the wide hotel window and laught. Slow motion. 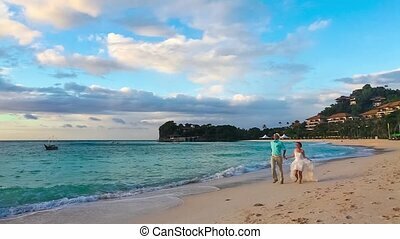 Happy bride and groom outdoor gently look at each other and kiss. Woman put her had on the shoulder. 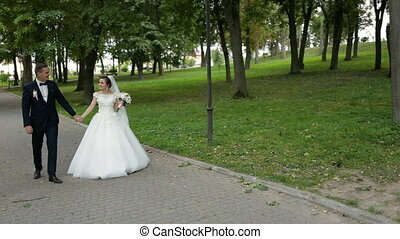 Happy bride and groom go out of the church after wedding ceremony. 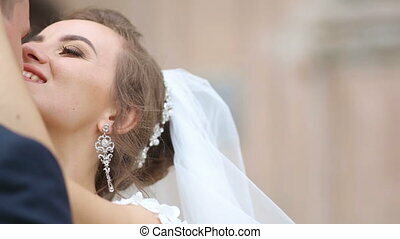 Woman hold bouquet in her hand. They smile. 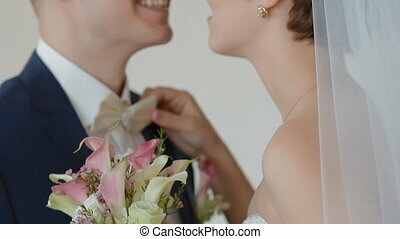 Bride and groom kissing after first look. 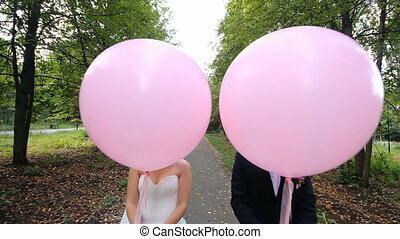 Happy wedding couple kiss, smile and laugh. Groom embrace his bride. Closeup wedding bouquet. Bride and groom pose indoor kissing. They are happy. Bride and groom laughing and embracing. Happy moment of new family. Bride and groom drink champagne on the wedding ceremony. 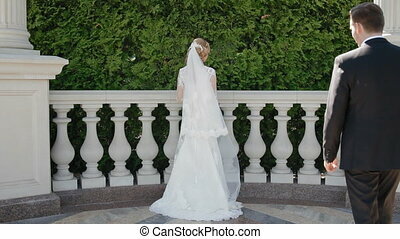 Bride and groom pose to photographer outdoor. Bride stand back for the camera, groom comes to her and taker his wife's hand, kiss her to forehead.